Sony has announced that it has developed a new "next-generation" back-illuminated CMOS image sensor, which it claims "embodies the continuous evolution of the camera." The new sensor layers the pixel section containing formations of back-illuminated structure pixels onto chips containing the circuit section for signal processing. This is in place of supporting substrates for conventional back-illuminated CMOS image sensors. This means the usual supporting structure is omitted and the two sections can be produced separately. 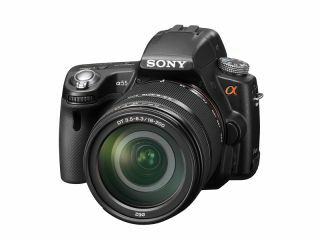 As a result Sony claims that the structure can achieve further enhancement in image quality, superior functionalities and a more compact size. Faster speeds coupled with a lower power consumption are also promised. In an official statement on the Sony website, the company describes the popularisation of smartphones as the reason why "more sophisticated cameras" are in demand. The first model with this built-in signal processing functionality will be available from March 2012. It is not known whether the first models will be conventional cameras, or smartphones. The new models have also been developed with Sony's "RGBW Coding" function to facilitate low noise, high quality image capture in low light conditions, and its proprietary "HDR (High Dynamic Range) Movie" function, which has been designed to achieve better colours in bright light. Keep following for more news on any new models to feature the sensor as and when they are announced.